I admit it, doing the laundry isn’t one of my favorite household chores to do. I am very fortunate that my husband tackles most of it for our family. He is seasoned at sorting and checking the pockets and making sure that my LuLaRoe items don’t get thrown into the regular cycle. He is a keeper. While he is the master of the laundry, I am the designated shopper for all household items which means I choose what detergent we use. After many years of trial and error I have found that Member’s Mark® laundry detergent is the most economical and it delivers superior performance. Every time I do the monthly shopping at Sam’s Club, I make sure I stock up on it. We have a HE washing machine and Member’s Mark is compatible for our machine. It is also specially formulated to deliver top cleaning performance and improved brightening and whitening with your clothes. I love how clean and fresh my family’s clothes are at the end of a cycle. The no-mess dispenser makes it easy to pretreat stains and keep my laundry room free from messy spills. I couldn’t be happier with our choice of detergent. This past week I was off for Spring Break so I decided to help my husband out with the laundry. While I was sorting and checking pockets I realized that we needed a place to put those lost coins you find in the pockets of blue jeans. Before my idea of making a Lost Coin Jar, we were putting the loose coins everywhere on top of the appliances and they just stayed there. 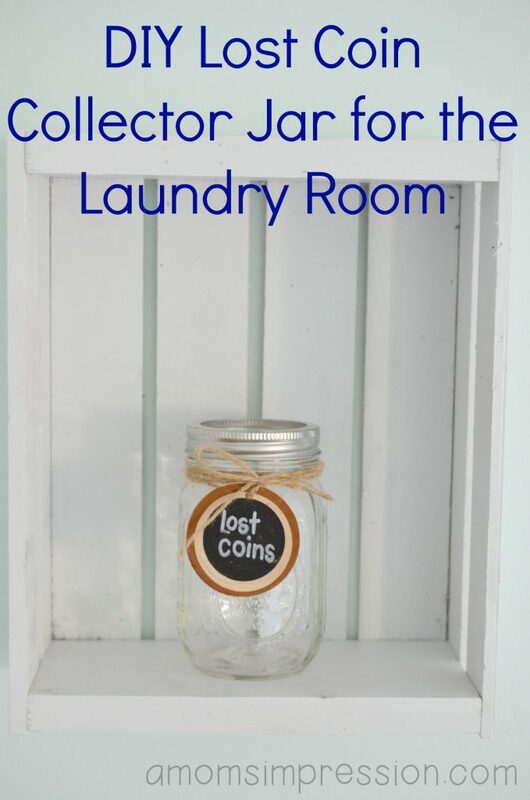 With our new Lost Coin Jar we can keep them in one place and may bribe one of the kids to do some chores to earn what is in it! 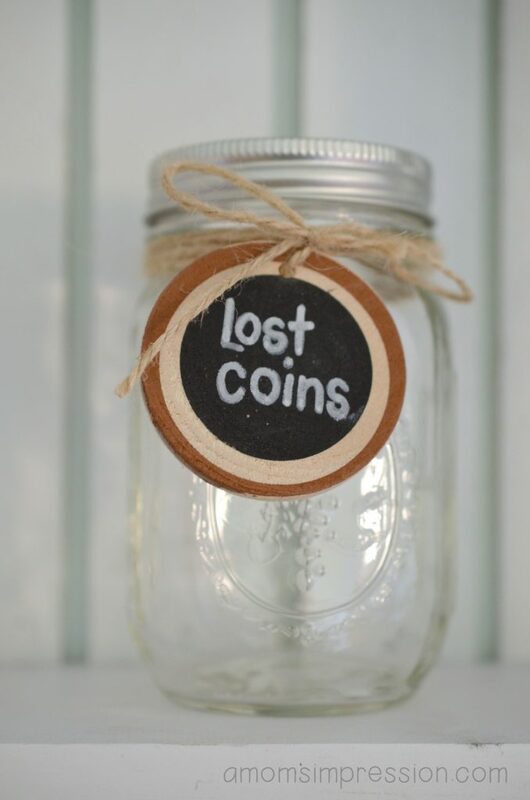 To make your Lost Coin jar you will need a Chalk Marker, a Chalkboard Sign, a Mason Jar and something to tie it around the jar. I found my tag in a hobby store. Your jar is made in 3 simple steps. First, write your message of choice on your wooden tag with the chalk marker. Let dry. 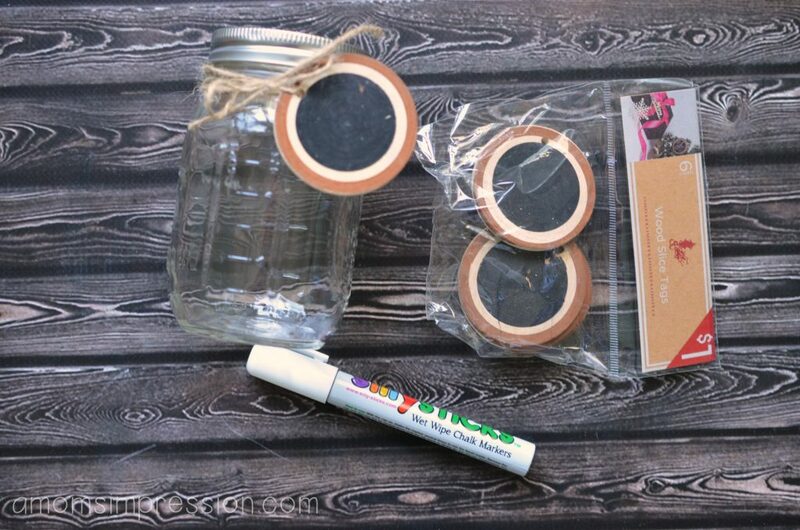 Next, tie your tag around the Mason jar with twine. I like the rustic look of kitchen twine but you can use a ribbon if you want to as well. Finally, you have a few options available to you. 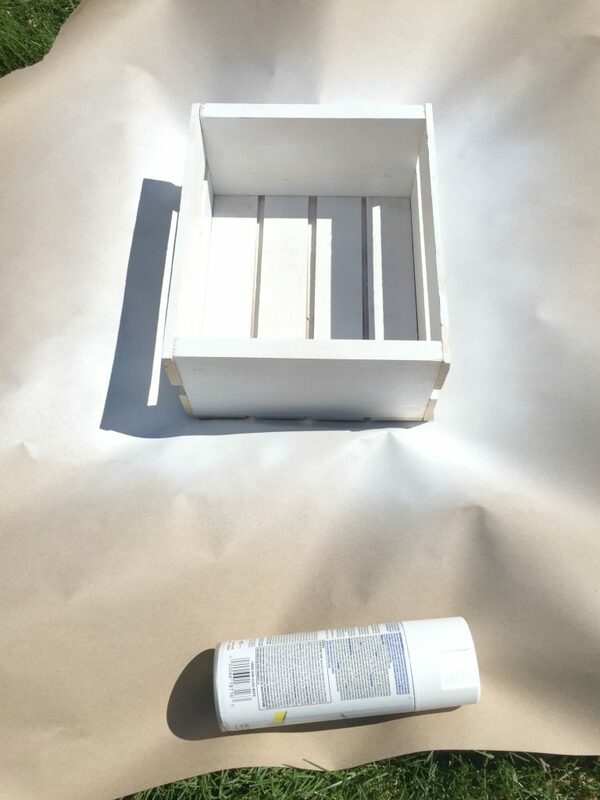 You could attach the jar to a piece of wood with a clamp or wire or you can do what I did and spray paint a simple crate and set the jar inside. I found this crate at a hardware store and love it because it makes the perfect shelf. We have them in my son’s room and I knew it would work well in the laundry room. The shelf makes getting our coin jar in and out a breeze. The only thing you need to do to the shelf is to paint it. I love white, I think a pop of white in a laundry room makes everything bright and clean looking. The end result is a fantastic, simple, DIY project that will take you minutes to make but yet it makes a huge statement. It is a great addition to our laundry room. 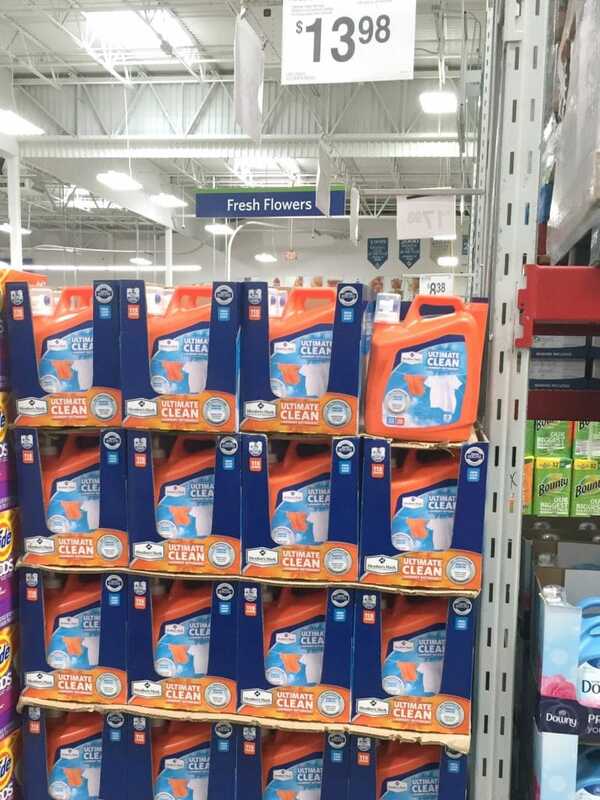 Speaking of my laundry room, don’t forget that you can get your Member’s Mark laundry detergent at Sam’s Club. I found mine on the end cap of the cleaning aisle. 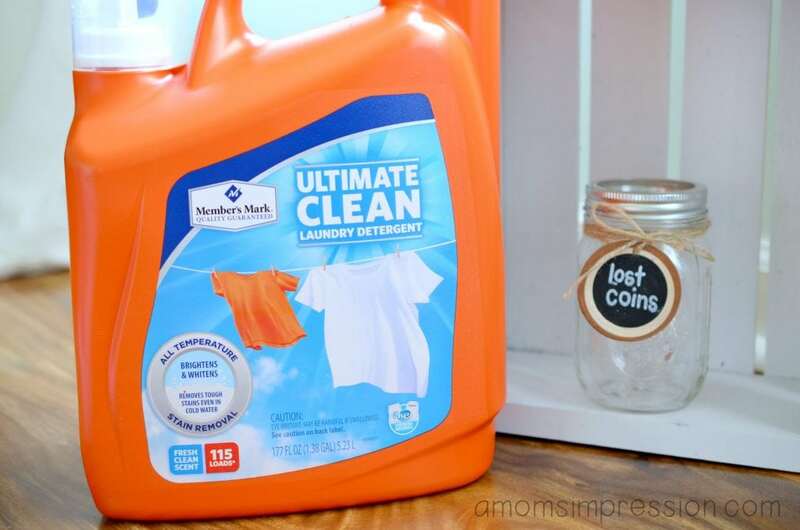 Don’t spend more on amazing laundry detergent than you need to! « Captain Obvious is Running for President!